ToolTronix 0.5HP Pump is a quality water pump with COPPER wire motor and BRASS impeller. 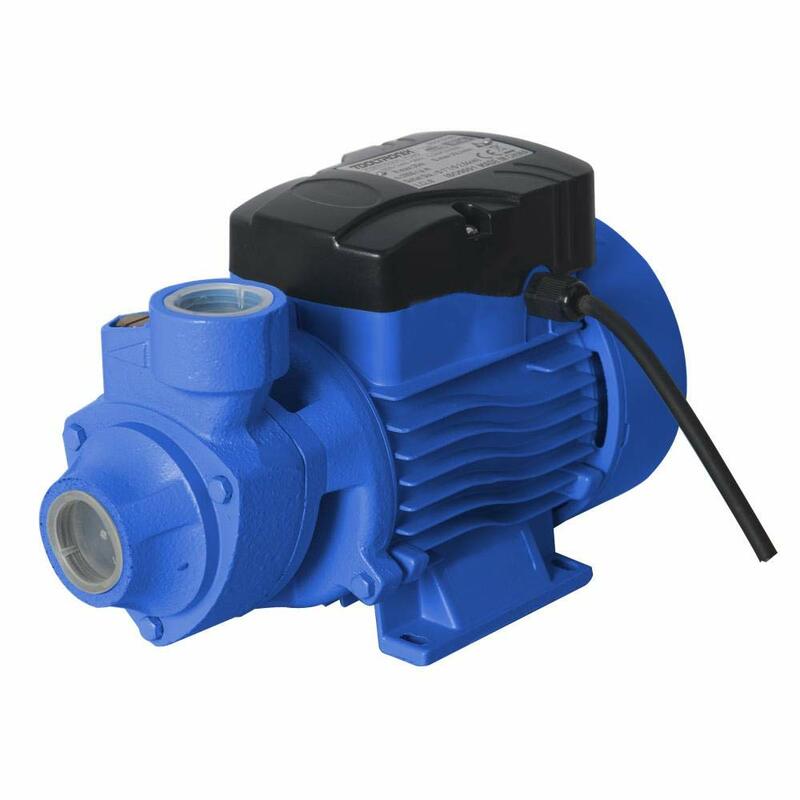 The pump is suitable for both indoor and outdoor use. Pump is ideally suited for gardens, ponds, farms, tanks and other hard to reach areas. This pump is only for clean water, small particles may damage the seal and the impeller. For safety pump should be covered from water and other hard weather circumstances. The pump should be installed by specialist only, wrong installation may cause damage to the pump and may lead to harmful electric shocks. Uses and installations: recommended for pumping clean water without abrasive particles and liquids that are chemically non-aggressive for the pump’s constituent materials. Easy to use and economical: Pump is suitable for domestic use and in particular for the distribution of water to and from tanks, ponds for watering farm vegetables and gardens. Dimension:275*130*180mm – Max suction: 7 metres. – Max environment temperature: 40°C. – Max liquid temperature: 60°C. – Please check photos for more details.